During the popular Iron Man films, Tony Stark speaks to a range of devices controlled by artificial intelligence called J.A.R.V.I.S (which stands for just a rather very intelligent system). When the films first came out, the idea of controlling your home via voice seemed in the distant future. However due to rapid developments in home automation, there are now affordable solutions which can allow you to do just that. To be able to control your home via your voice you’ll need a voice assistant such as Amazon Echo or Google Home. Although you can’t call out to Jarvis in particular you can however speak to ‘Alexa’ or say ‘OK Google’. These devices on their own can play music, read the news, answer questions and even help you work out. 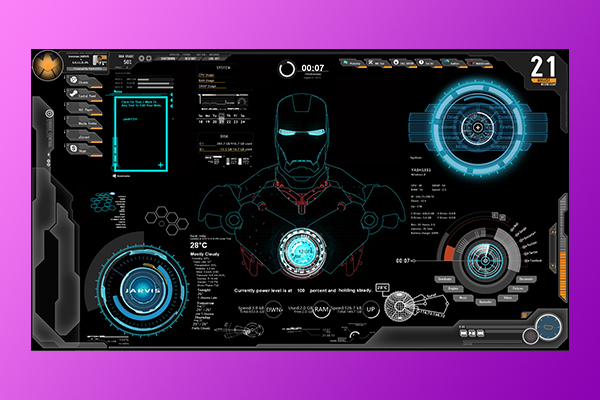 However for a true Iron Man experience you will want to be able to control a range of devices such as lighting, heating or other electronical devices. One thing to add to give you some instant control is lighting. There’s a range of bulbs which integrate with voice controller’s like Amazon Echo and Google Home. These include brands like LIFX, Philips Hue, Lightify and WeMo. This is very useful especially when getting into bed as you can simply call out ‘Alexa turn off the bedroom light’ (without getting out of a nice warm bed). Smart plugs are another way which can allow you to take control of non-smart electrical devices. By plugging devices into the smart plugs, you can name them so that you can control them by your voice. Again brands like WeMo and SmartThings offer solutions (some require hubs) where smart plugs can be added. They can be used with things such as lamps and electric fireplaces for example and connecting to voice controls. In hubs such as SmartThings you can even start to group devices, therefore you can run commands like ‘turn on the lounge’. Anything in this group will turn on. You can start being a little smarter with groups for ‘cinema mode’ which sets the mood for a film. Unfortunately holograms and robots are currently unavailable to complete the whole Iron Man experience. However, if technology progresses at this current rate, we could soon find these options available to us. ← I have a voice controlled speaker, why do I need a home automation solution?